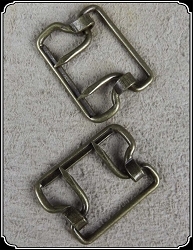 Whether suspenders or a Steampunk cinch, these two tine brass buckles will be perfect. 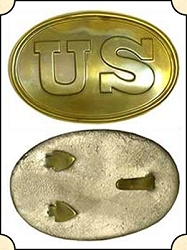 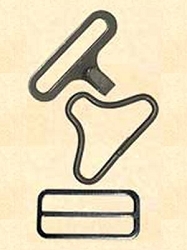 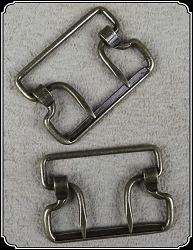 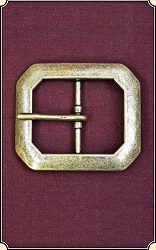 Measure 1 1/4"
For the adjustment belt on vest or any thing else you can think of - Buckle - Gray metal Vest - 3/4"
These two tine brass colored buckles are 1" and perfect for trousers, bags, or anything that needs a old fashion touch. 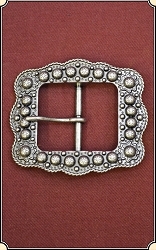 Made with Pewter this fancy clasp is what you need to finish that project with just the right touch. 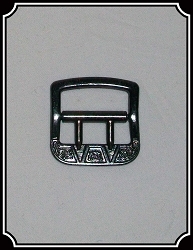 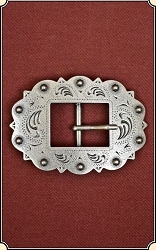 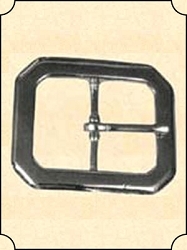 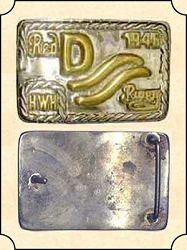 This buckle is a solid brass, nickel plated replica of the famed Red River D buckles ~ measures 2 1/2" by 4"